9001043 BLACK - 1-1/8" to 1-1/4"
Size: CHROME - 7/8" - 1" CHROME - 1-1/8" to 1-1/4" BLACK - 1-1/8" to 1-1/4"
100% show chrome or satin black finish handlebar mounting bracket will make your DP AFR gauge sparkle on your 7/8", 1" or 1-1/4" handlebars. The P-Clamp Handle Bar mount offers quality and durability for years of hard use. 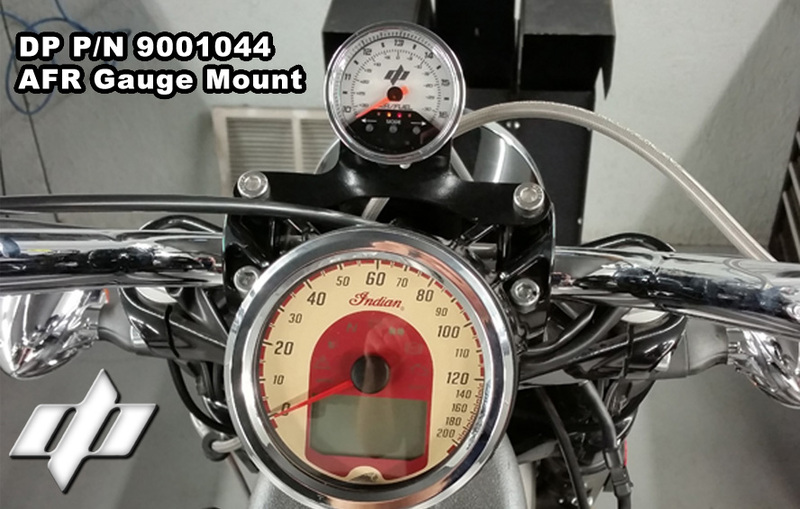 Includes all necessary hardware to attach a Dobeck AFR gauge to your handlebars in minutes! 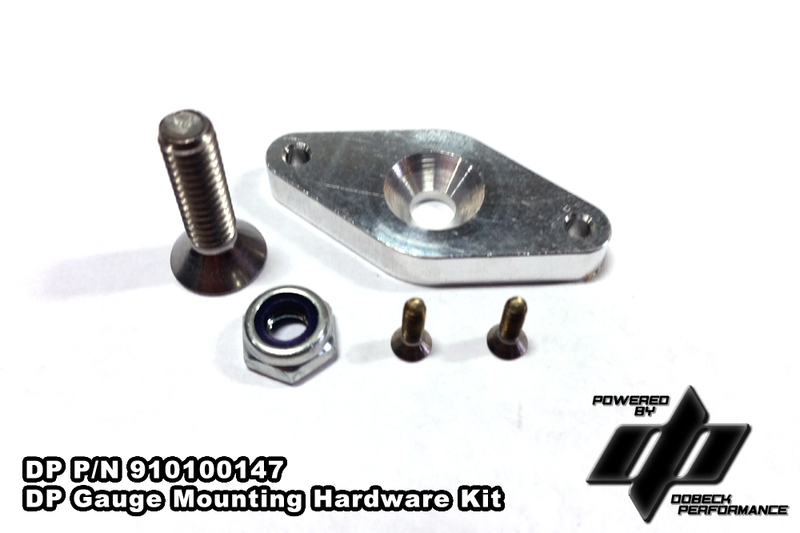 P-CLAMP HANDLE BAR MOUNTING KITS ALREADY INCLUDE ALL HARDWARE INCLUDED IN PART NUMBER 910100147. Mounting hardware only. Gauges sold separately. For use with after-market handle bar mounts. 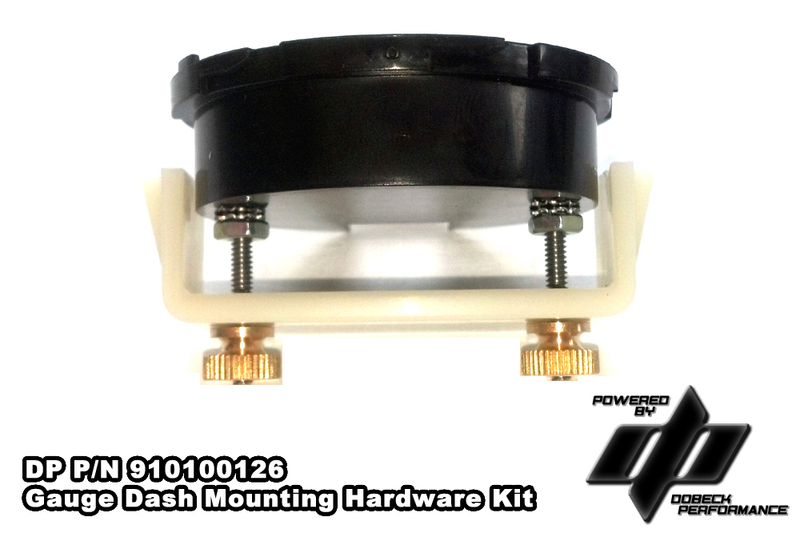 This hardware kit comes with the DP machined bracket and screws to attached to other AFR gauge mounts. 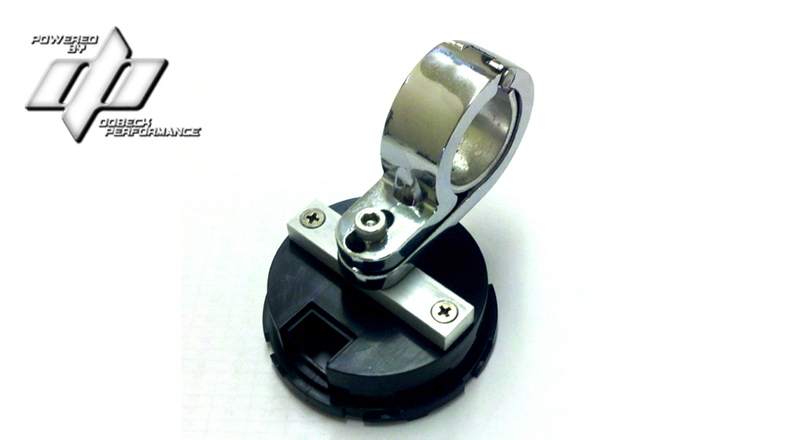 All DP P-Clamp handle bar mounts come with the hardware kit. 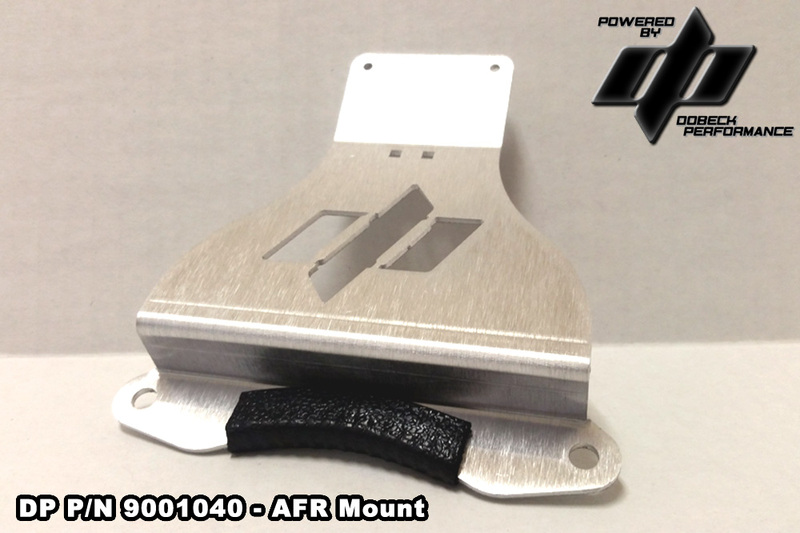 ALL AFR+ SYSTEMS COME WITH 1 x DASH MOUNTING HARDWARE KIT ALREADY INCLUDED!! Listing for replacement purposes only.